Community engagement is difficult work, work to which an organization as well as the individuals actively involved in it must be deeply committed. At the risk of annoying repetition, arts organization staff members (to say nothing of the field’s volunteers) have, by and large, not been trained for it. Anyone entering this arena must understand that there is much to be learned before proficiency is reached. Mistakes will be made. Efforts at engagement will not immediately yield a wealth of excellent results. The industry has generations of experience in production, decades of experience in development, and years of experience (with lessons yet to be learned) in marketing. The “rules of engagement” will take time to absorb and implement effectively. Effective community engagement must begin with commitment, with belief that engagement is good for the organization and good for art. Efforts rooted in anything else–funder requirements or fear of bankruptcy-will be short-lived and ultimately fail. The community will quickly, if not immediately, see through the façade. Engagement is relationship building. Relationship building between an organization and others demands working together. Successful partnerships demand mutuality of benefit. Any project undertaken must address the interests of the community partner as well as supporting the arts organization and enhancing/serving art. 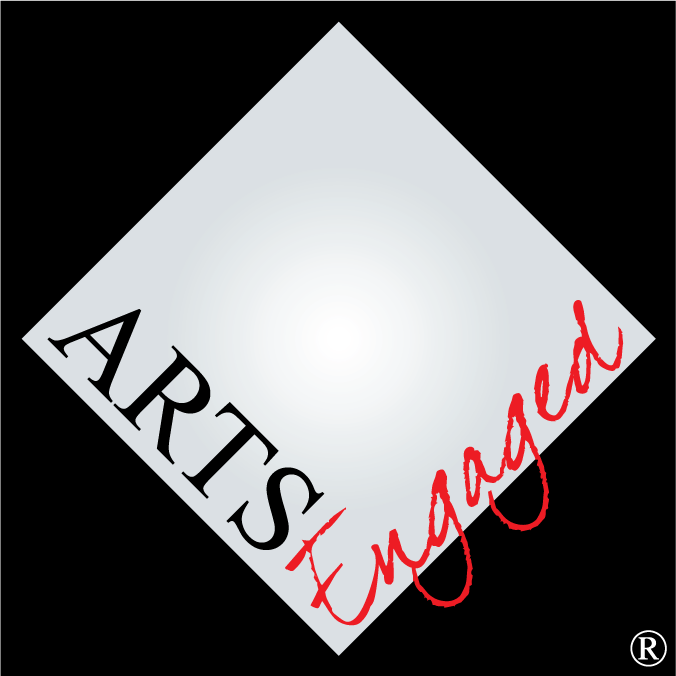 A widely recognized key to good partnerships is the ability to understand the difference between doing “for” and working “with.” With respect to the arts specifically, organizations should not “present to” their communities but must be “engaged with” them. Expertise and passion are essential for the creation and presentation of art. At the same time, expertise and passion can be roadblocks to reaching communities. They separate those with from those without them and make communication difficult. It is a challenge for the passionate expert to understand those who do not share his or her knowledge and point of view, and it requires almost superhuman effort for the expert not to be seen as condescending. This creates a dilemma, especially when it comes to the task of engaging with communities. It is, therefore, incumbent upon the arts establishment, it is in its own self-interest, to learn and practice humility. And there is much about which to be humble. While arts professionals have expertise in things artistic (at least in the cultural traditions with which they are familiar), not a few are clueless or less than “clued” with respect to the interests, needs, and modes of operation of communities outside the arts. This lack of awareness is one reason community engagement is so dependent upon collaboration with individuals or organizations external to the field. Arts savvy comes from within; external sources must provide understanding of and access to the community. A bit of humility goes a long way in establishing relationships. It also supports the attitude of service that is the core of a revised vision of the arts mission. But a sense of humility must be systemic. It can't be outsourced. One can't create a humility department and hire low-level staffers to do it. (A tip of the hat to arts marketer Trevor O’Donnell.) This is true of engagement specifically and of humility more generally. It must be an organizational principle at the mission level. Humility is humanizing and opens many doors. The championship professional sports franchise is very good at what they do. Some teams and individual athletes may think that their abilities make them superior to the minions that surround them and, in a society that values athletics highly, they can get away with it to a degree. But many (though granted not all) of the ones who are most admired are appreciated for their well-grounded awareness that athletic prowess is only one relatively small element of what it means to be human; some even have a sense of humor about it. Society is not, today, predisposed to give the aloof artist or arts organization much benefit of the doubt. In a time when expanding reach is critical, the first tool that needs to be mastered is the skill of relationship building. The foundation of that is humility. The most important basis for success in community engagement is respect–respect for those with whom a relationship is sought. The reverse is also true. If that respect is not present, the work will fail. For the record, the fact that members of the community do not find [fill in the blank: art museums, ballet, chamber music, opera, orchestral music, theatre] as captivating, uplifting, or life-affirming as do arts insiders does not demean them. People are different. The idea some hold that if only a person saw a *good* production of opera they would love it is false. Some will be won over. Others will not. That does not mean those people are not worthy of being engaged. It does mean consideration must be given to the means by which to do so. In order first to communicate and then to build relationships it is important to understand those outside the inner circle. It is not necessary to value the things they do (although if it is possible, that would be a huge help), but the importance of those things to others must be honored. If those attempting to engage do not know what those things are–or worse, if they don’t care–relationships, and therefore engagement, will not be possible.